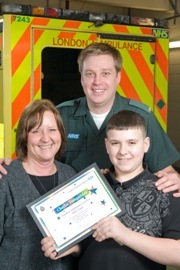 Charlie Tsangarides was hailed a hero after helping to save the life of his nan. 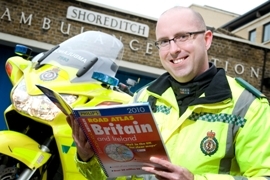 A motorcycle-mad paramedic will ride thousands of miles around the coast to raise funds for charity. 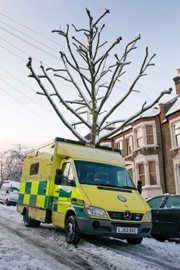 “Please use us wisely and only call 999 with life-threatening emergencies” – that’s again the message from the London Ambulance Service as icy conditions in the capital mean extra pressure for the Service. 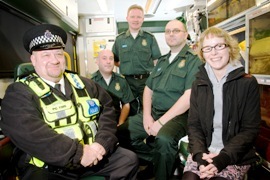 Londoners whose hearts stop beating in public are over six times more likely to survive than ten years ago, new figures from the London Ambulance Service reveal.